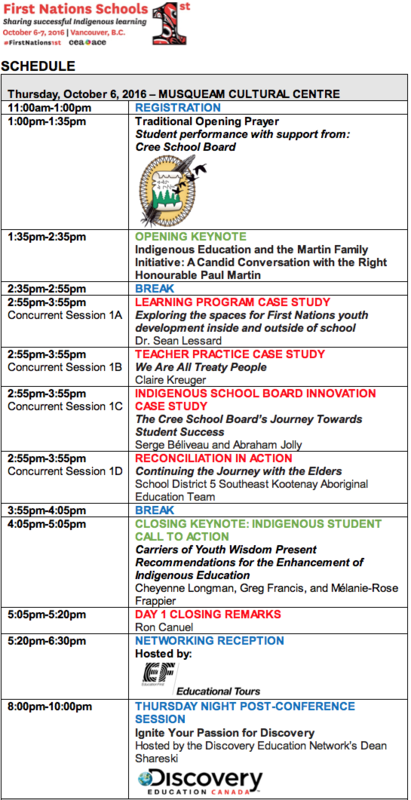 Home	/ Network Events	/ Professional Learning	/ First Nations Schools First! This symposium will focus on one of the most urgent issues facing Canada’s future: ensuring the success of all Indigenous students. This is an Indigenous Peoples’ priority, a ministry of education priority, a federal government priority, the public’s priority, and our priority. 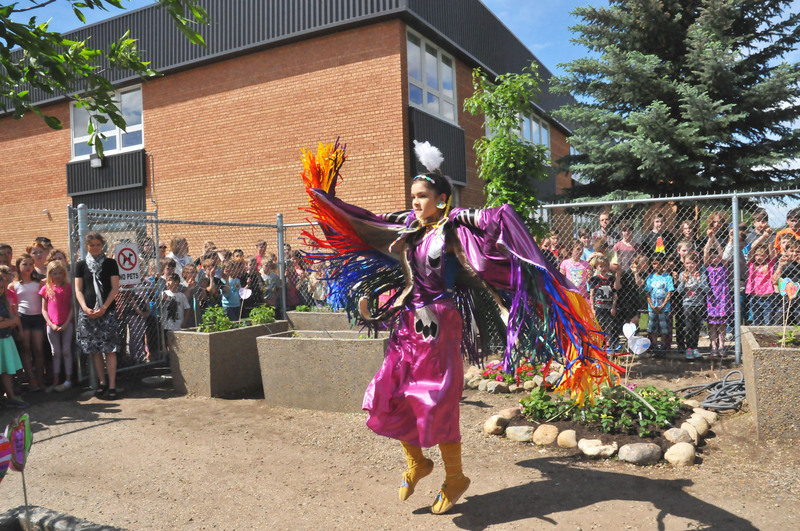 Based on this sense of urgency to decrease the number of Indigenous students who are tuning out – and dropping out – of school, First Nations and provincial school educators are taking risks and implementing bold, culturally relevant, community-supported programs that connect deeply with Indigenous students’ way of learning and coming to know. These successful programs merit our attention. So rather than dwelling on the challenges that Indigenous education leaders face, CEA will seize the opportunity to showcase pragmatic, successful and replicable examples of classroom practice for Indigenous and non-Indigenous learners. With educators across Canada currently challenged to embed Indigenous knowledge, perspectives and Worldview learning into their classrooms, First Nations Schools First! is a timely event that will convene both First Nations and provincial school educators committed to integrating effective Indigenous teaching practices into Canadian K-12 classrooms. The Rt. Honourable Paul Martin will reflect on Indigenous learning across the country and his family’s initiative the Martin Family Initiative, the implications of the recommendations contained within the Truth and Reconciliation Report, and how we can collectively move forward to ensure that all Indigenous children receive the education that they deserve. 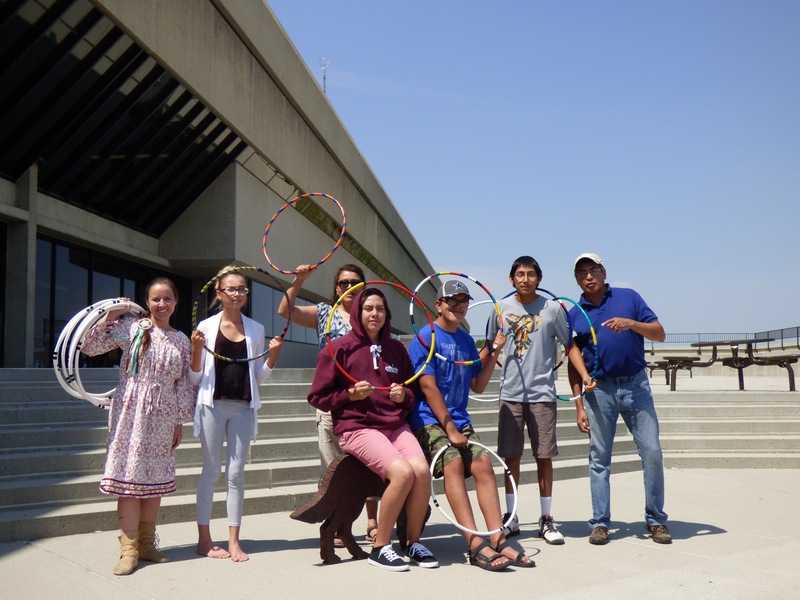 In May 2016, 36 Indigenous youth 20 years old and under representing every province and territory collaborated on Mnidoo Mnising (Manitoulin Island) for the Gathering of Youth Wisdom, convened by the Rideau Hall Foundation. Three of these young leaders, Cheyenne, Greg and Melanie-Rose will present the Youth Declaration that addresses four key recommendations for the enhancement of Indigenous education. From a youth perspective, they will call for allies to work towards an equitable education system for all youth in Canada. The UN Declaration on the Rights of Indigenous Peoples provides a framework to further develop our education systems in a manner appropriate to our respective Nations. The Truth and Reconciliation Commission of Canada proposed numerous Calls to Action in education that further underscore this priority. 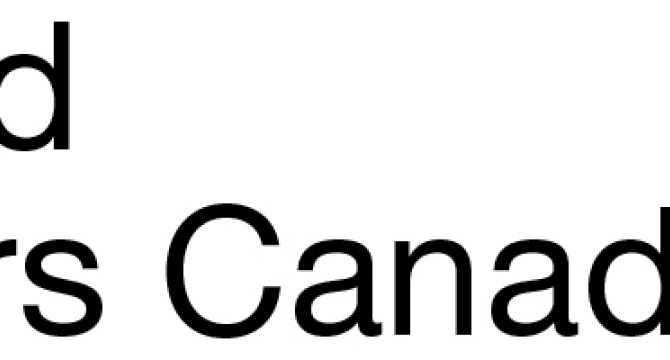 In a landmark ruling that will impact First Nations education, the Canadian Human Rights Tribunal found that the Government of Canada is racially discriminating against First Nations children and families by providing flawed and inequitable child welfare services. Collectively, this provides us with a unique opportunity to further advance First Nations education that will result in healthy, sustainable communities with flourishing First Nations languages. The Tl’azt’en Nation has been working together in B.C. for over 20 years to address the needs of its learners and has negotiated significant agreements in education. We must seize the opportunities, the time for real progress is now. We acknowledge the financial support of the Province of British Columbia through the Ministry of Education. For sponsorship opportunities, please contact Gilles Latour at 1-866-803-9549 ext. 237 or glatour@cea-ace.ca. 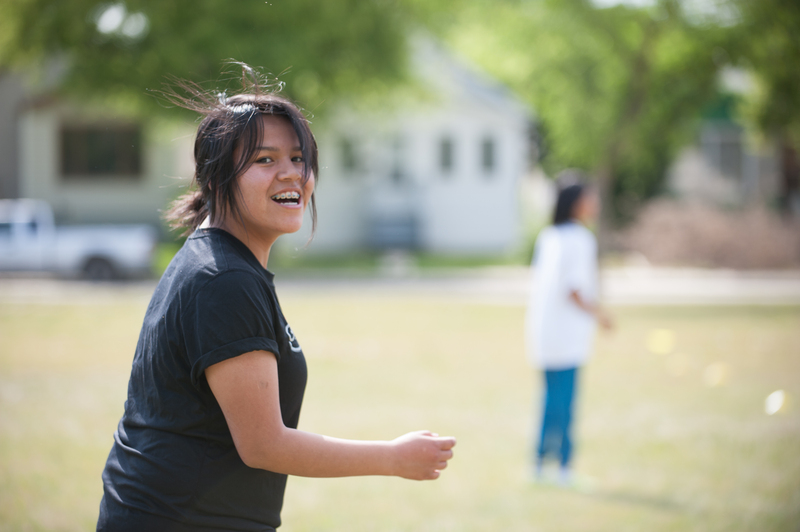 Growing Young Movers Youth Development is an inter-generational wellness and research hub that provides programming for First Nations youth across Saskatchewan and Alberta. This case study presentation will share how this program has evolved alongside communities that seek to provide meaningful positive youth development experiences both inside and outside of school. Learn how Growing Young Movers also serves as a research space that builds understanding of life transitions, wellness and inter-generational knowledge that First Nation youth and their families experience as they negotiate both school and life. Saskatchewan is covered by the numbered treaties, signed in the late 1800’s. Affirming this history is necessary for all Canadians. We recognize, in treaty – the ceremonies that make possible our ability to be on this land – and we recognize the possibility of relating to each other in good ways. This case study presentation will detail how one public school in Saskatchewan brings an understanding of our shared history and our ongoing treaty relationship into the classroom. Using traditional ceremonies, children’s books and digital storytelling, this program engages with the question: What does it mean to be a treaty person? and thus, what does it mean to be Canadian? This program was recognized with a CEA Ken Spencer Award for Innovation in Teaching and Learning in 2014. Bolstered by a comprehensive educational and organizational review of the services provided to its schools and students, a bold vision emerged to take the Cree School Board (CSB) on a courageous journey of rebuilding its education system. 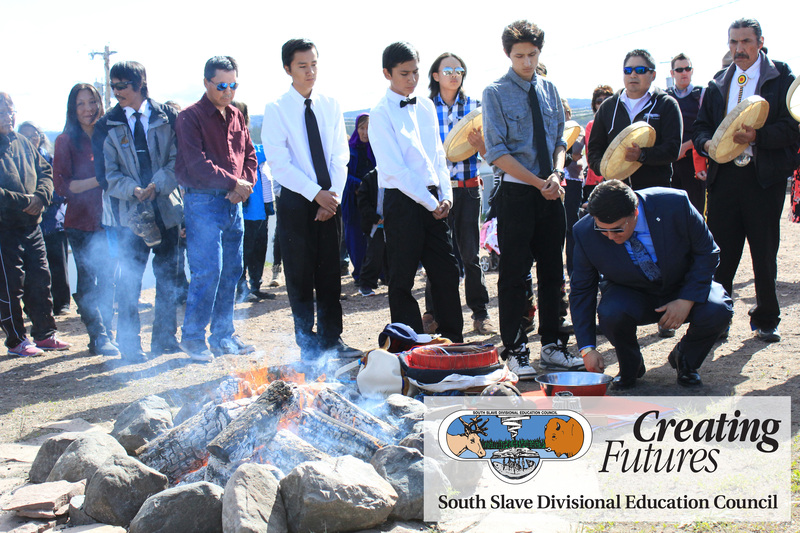 Discover how this vision has laid the foundations for improved student retention, intellectual engagement and a renewed purpose for learning – and how every student receives the highest quality of education and leaves school with a strong sense of identity founded on Cree history, worldviews, skills, culture and language to become valuable contributors to the Cree Nation and society at large. 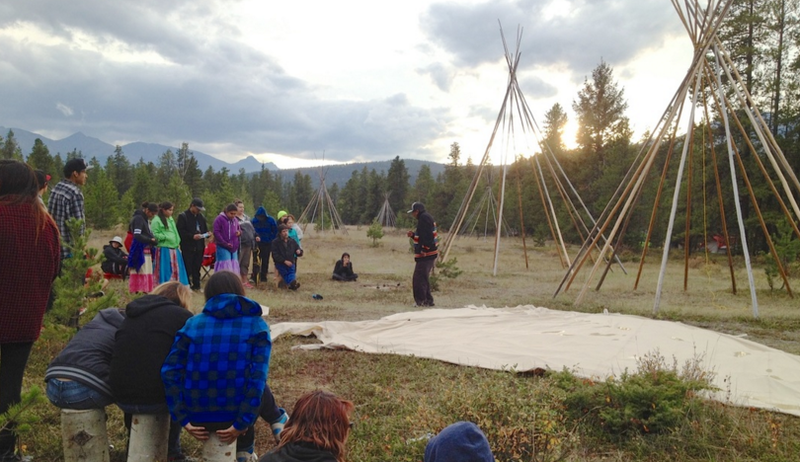 This award-winning program involves Ktunaxa and Métis Elders contributing throughout School District 5 Southeast Kootenay sharing their cultural knowledge and wisdom with students and staff. This case study presentation will demonstrate what is possible when a school and school district focus on improving results for Aboriginal students by developing a deep understanding of the cultural values that Aboriginal peoples bring to education. 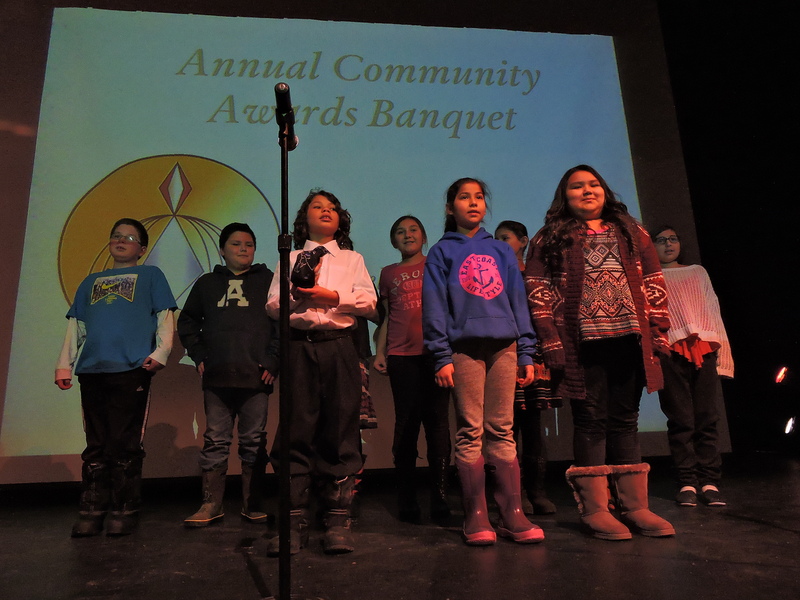 The impacts of this initiative have created sustainable institutional, systemic and cultural changes throughout School District 5 Southeast Kootenay. 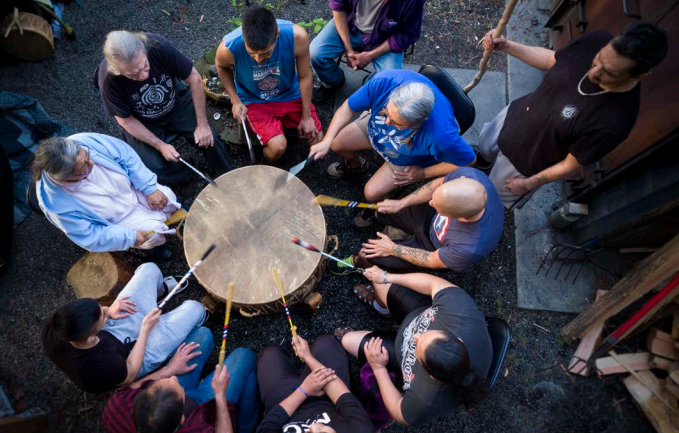 Elders are creating a place and fostering a sense of belonging for Aboriginal students, parents and community members while reintroducing methods and ideas from their Worldview perspective into the educational system that marginalized them in their youth. 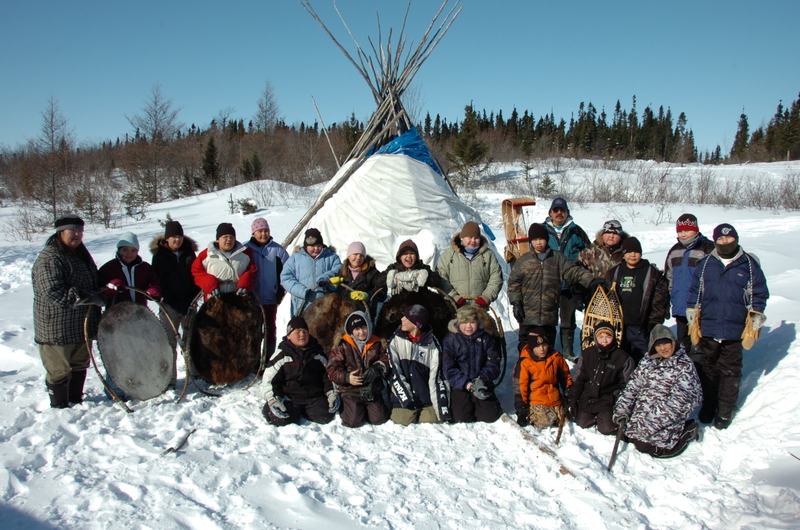 The two greatest predictors of First Nations provincial school success in Northwestern Ontario are: access to traditional knowledge by being immersed in a cultural continuum, and teachers educated to impart contemporary knowledge through a culturally responsive and relational pedagogy. Unfortunately, the province is largely failing to recognize the importance of this continuum, and minimizing access to contemporary knowledge by continuing to implement a one-size-fits-all pedagogy that is detrimental to First Nation success. This workshop proposes a new approach to First Nation school success: the Biwaase’aa/Maamaawisiiwin Education Innovation. 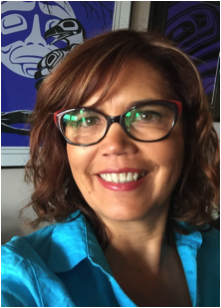 Michelle’s research focuses on unique – often perceived negatively as different – learning styles that don’t fit the traditional Western education model of teaching, particularly in the sciences and mathematics, which are roadblocks to academic success for Indigenous students. This presentation will share evidence-based teaching practices in performative inquiry, hands-on first learning-by-doing and learning through multidisciplinary methodologies that enable Indigenous students’ academic success in ways that engage them by attending to Aboriginal Ways of knowing and learning (AWKL). The Martin Family Initiative offers a variety of programs that support students, teachers and school administrators across Canada. This programs’ scope, purpose, impact on student success, partnerships and the resources used will be discussed. For the Anishinaabe people, everything is based on respect for language, responsibilities, and culture – and to follow these protocols, which were written on the land and in the sky – the way they were meant to be in Indigenous education. This session will provide insights into the paradigms of Indigenous learning foundations that are based on the knowledge, culture and way of life with the land and everything that surrounds it as core components of the way we teach to our children. A small, northern jurisdiction, with approximately 70% aboriginal student enrolment, will share how they honoured and revitalized the local indigenous cultures and languages while also improving student achievement in English – preparing students to be “Strong Like Two People”. A focus on a few key priorities, with carefully selected strategies, and a commitment to results has provided alignment, improved results, pride and community support. This case study presentation will identify what they’re doing and why (research base) with evidence of a reduction in the gap both between Indigenous and non-Indigenous student results, and between district results and provincial/National standards. This initiative was recognized with a CEA/Reader’s Digest Canadian Innovators in Education Award in 2015. This case study presentation will show how one teacher developed a program, working with the community, to integrate gardening into healthy school food systems, student service learning and traditional Indigenous foods use. Students participated in a wide variety of hands-on learning, focused on growing and preparing food in a year- round gardening program. Crops, including heirloom tomatoes, grains, greens, legumes, herbs, potatoes, and others, were grown in a community greenhouse, outdoor planters, and in classrooms, providing produce year round for use in the Foods classes, in the student run café, and in community programs (including the community kitchen and soup kitchen). Students also contributed hundreds of collective volunteer hours at the Inuvik Community Greenhouse through service learning. This program was recognized with a CEA Ken Spencer Award for Innovation in Teaching and Learning in 2015. Windspeaker is a year-round outdoor and experiential student leadership program, which supports Indigenous learners from Grades 7 to 12. This program is a co-creation of Gloria Raphael, an indigenous leader, educator and advocate for children and youth and Jeff Willis, owner of Fireside Adventures outdoor education camp. Over four years, this strength-based approach helps learners develop a personal positive identity, social and leadership skills through connections to the land and cultural experiences, including: weekend urban field studies, cultural retreats, back-country expeditions, outdoor leadership and wilderness training, and experiential learning activities. This session will examine the transformation of education in the small Mi’kmaq community of Membertou, which – for the past 19 years – has reclaimed traditional values for success. This ISO 9000-2015 certified system is a model that focuses on attendance, achievement and aspiration, which has resulted in a powerful change dynamic that has reclaimed damaged/corrupted First Nation values and their place in modern educational settings. As part of your experience at our First Nations Schools First! Symposium, this informal gathering is an additional opportunity to connect and network with conference attendees as well as local Vancouver-area educators. Ignite Your Passion will feature 8-10, five-minute, Ignite style talks on various topics on the theme, “I used to ____, but now I _____” – Stories of Transformation. Free beverages and food will be served and there will be ample time to talk and network in between engaging presentations. It’s only a block from the conference hotels as well. Please consider joining us as a wonderful way to be inspired and networked with passionate educators like yourselves. Marilyn James is the Matriarch for the Sinixt Peoples in the historical traditional territory in which the H’a H’a Tumxulaux (Sacred Land) Program was founded and currently operates. 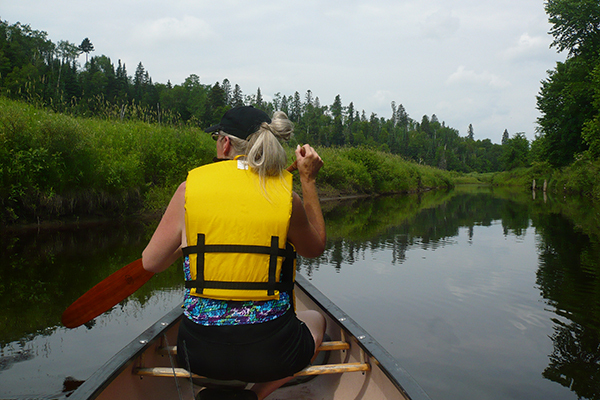 She has worked closely in collaboration with program developers in designing and implementing this traditional Indigenous outdoor education program. Holding a Master’s Degree in Education and Administration, Marilyn has a keen interest in education and is passionate about speaking to the history, traditions, and culture of her people. 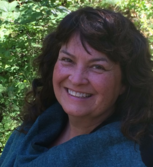 She has a tremendous amount of knowledge around her traditional teachings, protocols and curriculum development. Marilyn has played an instrumental role in bringing the Frog Mountain Survival Story of the Sinixt People to life. This curriculum is used widely across B.C. and at the University of Victoria as a resource to instruct teachers on how to indigenize curriculum. Kathryn (Kat) McCooeye is of Huron descent but was raised in the Gitxsan culture in the far reaches of Northwestern B.C. She is a Chanumpa (Sacred Pipe) Carrier, Traditional Knowledge Keeper and Aboriginal Cultural Consultant. Kat is also a traditional Ceremonial Facilitator; having apprenticed for years with the late Grandfather Wallace Black Elk (Lakota). Kat currently resides on the Sinixt territory, near Nelson, B.C and is an Aboriginal Education Support Worker for the Kootenay-Columbia School District, where she has recently designed and spearheaded the H’a H’a Tuumxulaux (Sacred Land) Program. 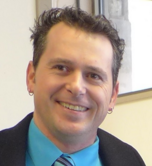 Nathan Robinson is the Principal of Alternative Education for the Kootenay-Columbia School District, responsible for two campuses and Continuing Education for adults. An educator for over 21 years in four school districts as a teacher, vice-principal and principal, Nathan has worked with students from the Witsowit’in, Chu Chua, Kamloops, and Sinixt Nations. His current passion is outdoor education and land-based teaching. His school was chosen as the first outreach site for the “Take a Hike” Program, which incorporates academics, adventure-based learning, therapy and community involvement. 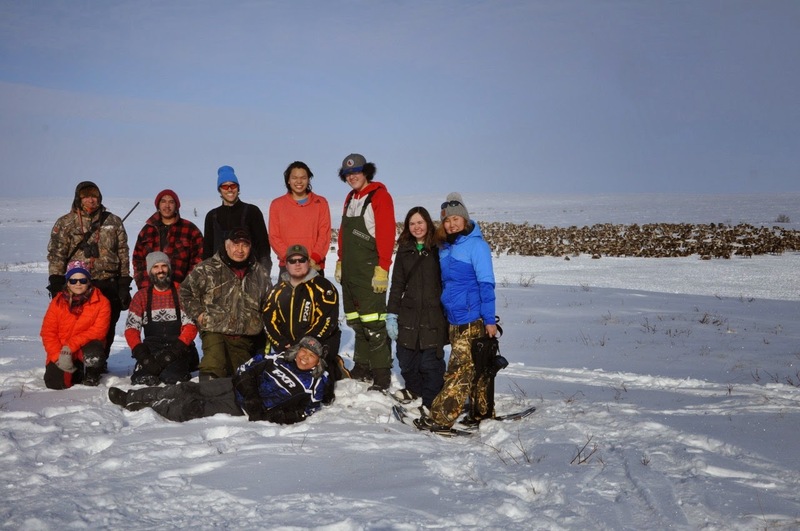 Nathan continues to support the growth of the H’a H’a Tumxulaux (Sacred Land) Program. Gloria Raphael (Nlaka’pamux Nation) believes in supporting learning environments where students experience a sense of care and belonging. Before retiring from the position of District Principal, (Aboriginal Education) with School District #36 (Surrey), Gloria worked in partnership with district staff, Aboriginal Communities and site-based leaders to focus on deepening understanding of the issues related to supporting Aboriginal learners. 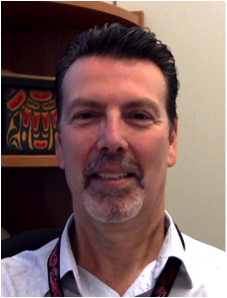 Gordon Powell (Mi’kmaq) is the current District Vice-Principal for Aboriginal Education in School District #36 (Surrey) and has responsibility for the Windspeaker program. 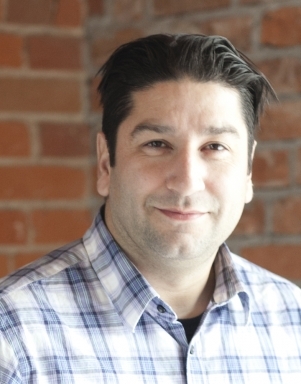 Dr. Sean Lessard is the co-founder of Growing Young Movers Youth Development – a nationally recognized youth research program that enhances the school experience for urban Indigenous learners. Sean is Woodland Cree and from the Montreal Lake Cree Nation in Northern Saskatchewan Treaty 6 Territory. He’s currently an Associate Professor at the University of Alberta in Secondary Education and an Adjunct Professor at the University of Regina. Sean was the 2015 recipient of CEA’s Pat Clifford Award for Early Career Research. Claire Kreuger is a Grade 3 teacher in Moose Jaw, Saskatchewan. She’s a white settler educator trying to create an ethical space of engagement in her classroom where racism, colonialism and privilege can be discussed and deconstructed. Claire is also mother of five (two Saulteaux adopted daughters and her three biological children). 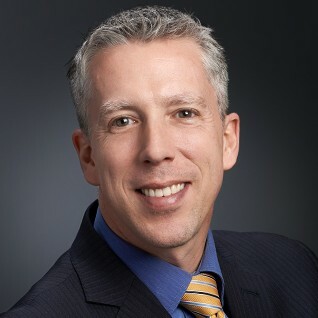 Ron Canuel has been President and CEO of the Canadian Education Association since 2010, and has over 40 years of experience in the public education sector. 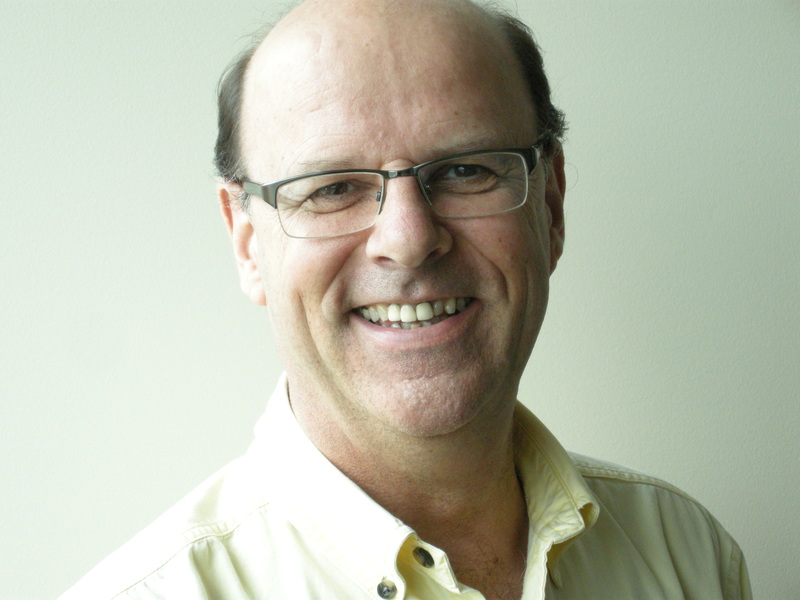 Ron was the principal architect of one of the first Canadian district-wide 1:1 laptop programs for students and teachers, and has received numerous awards in recognition of this groundbreaking initiative. 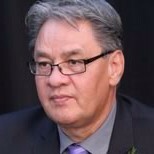 He has been a frequent presenter and panelist at national and international conferences on student and teacher engagement, change management, and in providing leadership that supports Indigenous and non-Indigenous educators and their communities to drive change in their schools. Grand Chief Edward John is a Hereditary Chief of Tl’azt’en Nation located in Northern B.C. He’s an Indigenous leader who has dedicated his life to the pursuit of social and economic justice for Canada’s Indigenous people, having worked as a leader in Indigenous politics at the local, regional, national and international levels. Chief John, a lawyer for more than 30 years, is currently serving his eleventh consecutive term as a member of the First Nations Summit political executive and his second term as a North American Representative to the United Nations Permanent Forum on Indigenous Issues. Members of the School District 5 Southeast Kootenay Aboriginal Education Team include Ktunaxa Elder Joan O’Neil, Mount Baker Secondary School Aboriginal Education Team: Debbie McPhee and Sharon Trefry and SD 5 Aboriginal Education Enhancement Agreement Facilitator Joe Pierre. 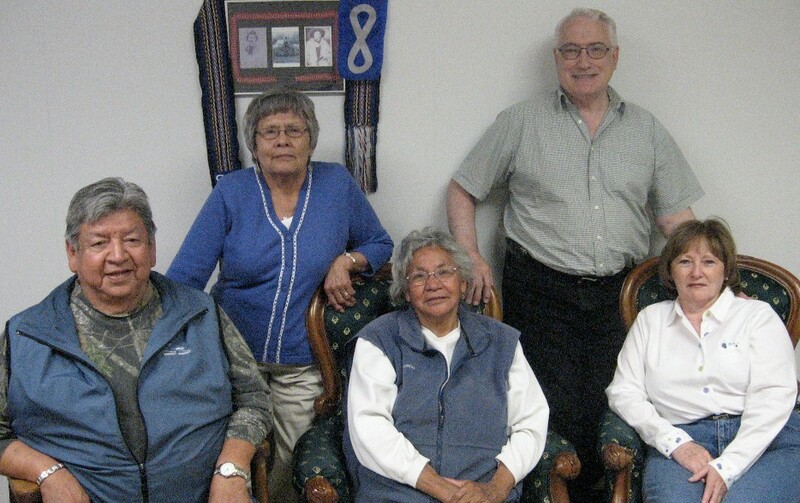 This cross-cultural (Ktunaxa, Mohawk and Canada Nations) team has over 50 years of combined K-12 experience specializing in Aboriginal Education, Alternate Education, Cultural Education and Restorative Justice. Carlana Lindeman has served as the Education Program Director for the Martin Family Initiative since 2008. She was a teacher, principal, Education Officer and Regional Manager for the Ontario Ministry of Education. In 2009 she was awarded a Lifetime Achievement Award by Ontario for service she provided to students, families and communities. 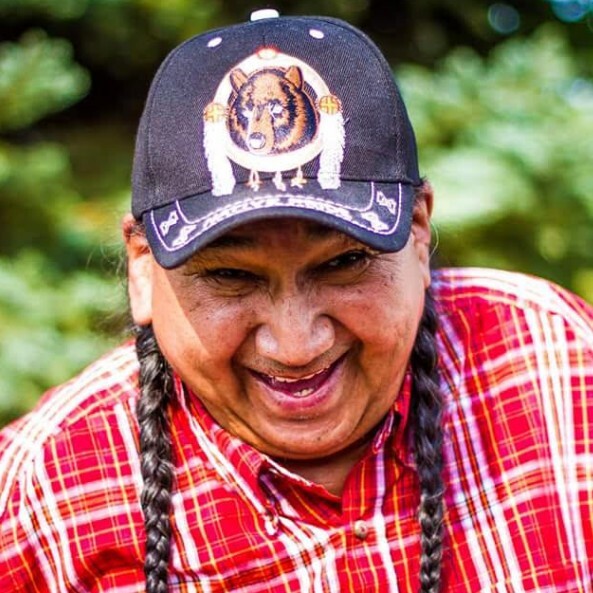 Jim O’Chiese In addition to being a father, husband, eminent scholar and knowledge keeper; Jim O’Chiese is one of the last hereditary Chiefs on Turtle Island. The knowledge of Indigenous ancestors has remained intact within his family and community. He is one the few remaining people who know and understand the Mahdaywin lodge/the Indian school. The urgency to share and retain this knowledge for future generations motivated Jim to become an instructor at the Yellowhead Tribal College. He has been working at the college for the past six years developing and delivering Native Studies classes that are based on the knowledge that he possesses. He encourages many questions and firmly states that “if I cannot prove it, I will not teach it”. All of his teachings are grounded in the archives of Indigenous peoples, which are located on the land and in the sky. These teachings are the ones he learned from his grandparents and his parents and continue to be passed down from generation to generation. Fortunately, for those who wish to learn these teachings, they can. 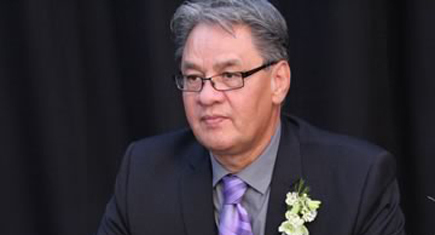 Abraham Jolly first joined the Cree School Board (CSB) Management team in 1999, where he served as the Deputy Director General for three years, then took an education leave to pursue his graduate studies. Abraham completed his Master’s Program in Leadership and Management in 2004 at Briercrest Seminary in Caronport, Saskatchewan. He then returned to the CSB to continue his service as Deputy Director General. In the fall of 2006, Abraham was appointed to serve as the Director General of the CSB, where he has since led a vision for effective lasting change. He was awarded an honorary degree in 2013 by his alma mater in recognition of his vision and work in Cree Education. 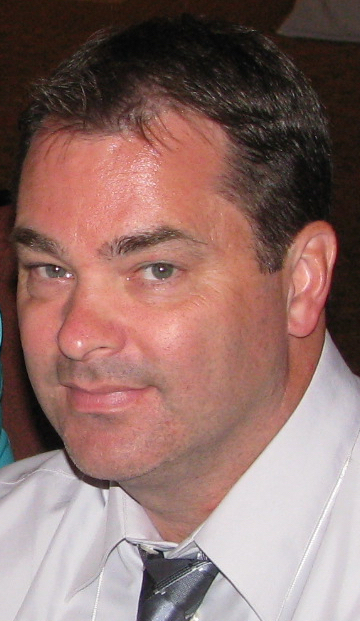 Serge Béliveau has over 20 years of experience in public education as a high school PhysEd teacher, elementary vice-principal, high school principal, and assistant director of educational services specializing in school administration and educational leadership – ten of those years with the CSB. As the CSB Deputy Director General, Serge’s priorities and efforts are highlighted by innovative learning programs and professional development strategies that have contributed to student engagement for both students and school teams. 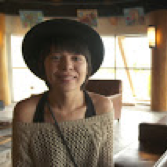 Cheyenne Longman is a 20-year-old Plains Cree woman, artist and musician living in Saskatoon. An avid reader and writer, she tries to find balance within her life: spiritual, emotional, physical, and mental wellness. She is working towards being Chief of her community and a conservation officer. Greg Francis, from Kingsclear First Nation outside Fredericton, New Brunswick, is in his third year of chemical engineering at UNB. He is employed during the summer by Dillon Consulting building his experience. Greg believes everyone should have the same opportunities regardless of where they grow up, including Indigenous students. 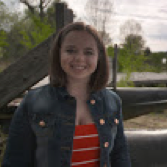 Mélanie-Rose Frappier is a 19-year-old Métis youth from Sudbury, an Ontario Youth Ambassador of Canada, Youth Aboriginal Leader and Founder of “It’s Cool to be Healthy” a non-profit organization. Mélanie-Rose is making a positive difference in her community and country, which is her passion. She is both a student and the Indigenous Program and Service Coordinator for the University of Sudbury. 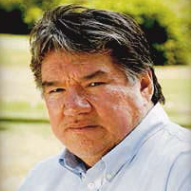 Dr. John Akweniiostha Hodson is of Mohawk descent, turtle clan, and Director of the Maamaawisiiwin Education Research Centre, in Thunder Bay, Ontario. John’s work in Indigenous education spans 20 years in the primary, secondary, post-secondary level in Canada as well as internationally and he has published widely on the subject. 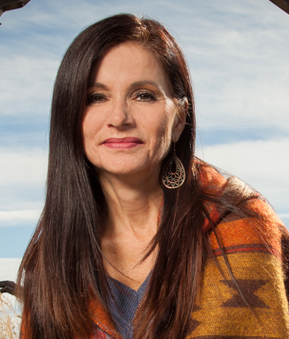 Dr. Michelle Hogue was born in Saskatchewan and is of Métis heritage. As an assistant professor and Coordinator of the First Nations’ Transition Program at the University of Lethbridge, her teaching and research center on building bridges between Aboriginal and Western ways of knowing and learning, using culturally relevant teaching methodologies that enable academic success. 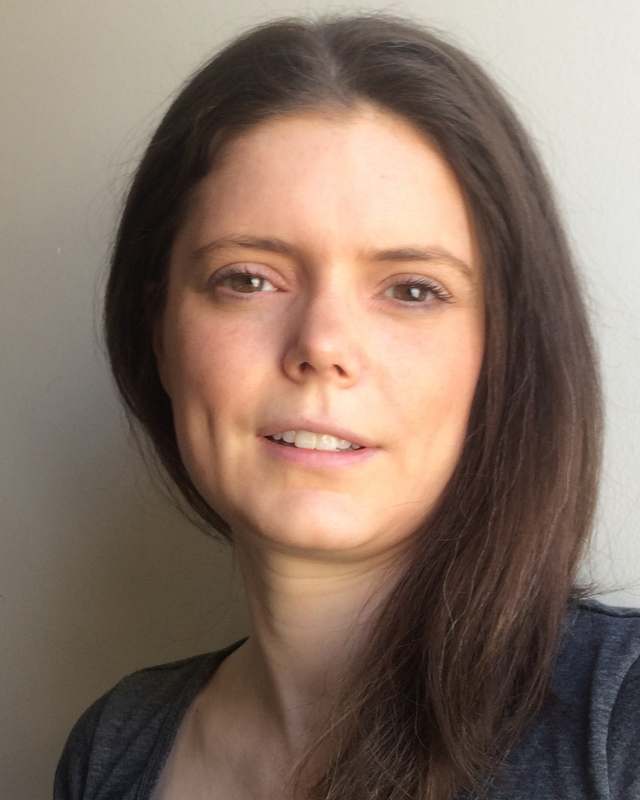 Michelle was the 2012 recipient of CEA’s Pat Clifford Award for Early Career Research. Dr. Curtis Brown (B.PE, B.Ed., M.Ed., Ed.D) has been Superintendent for the South Slave Divisional Education Council (SSDEC) since 1999. 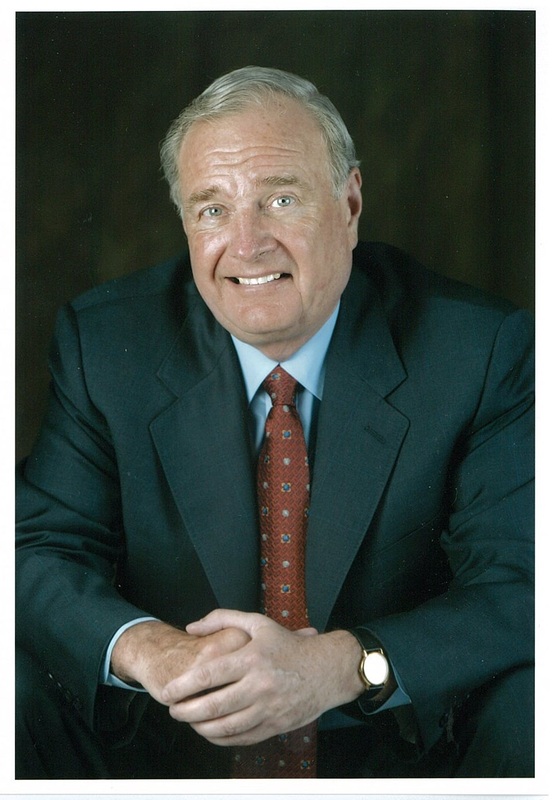 In 2011, he was selected Canadian Superintendent of the Year by the Canadian Association of School System Administrators (CASSA). The SSDEC’s Leadership for Literacy initiative won the IPAC / Deloitte Public Sector Leadership Award in 2013 and a CEA/Reader’s Digest Canadian Innovators in Education Award in 2015. 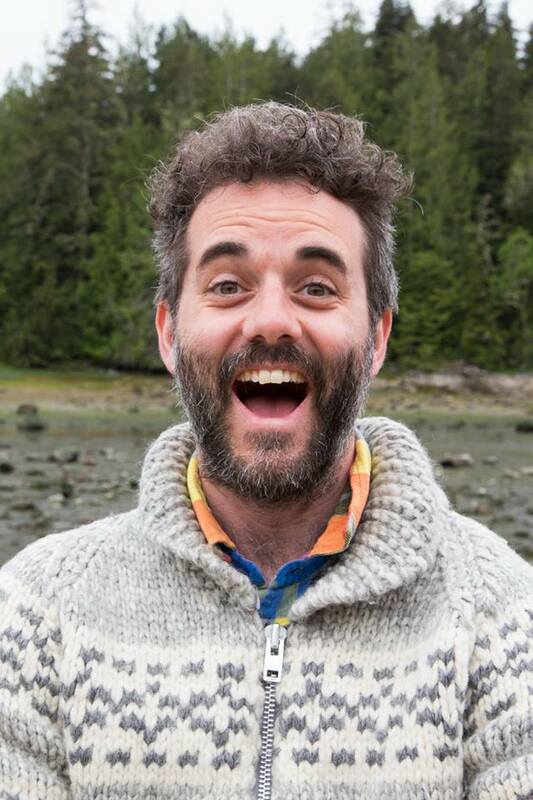 Patrick Gauley-Gale relocated to the Arctic (Inuvik, NWT) with his family in 2011 and spent five years teaching Foods and Gardening at East Three Secondary School. He has studied Environmental Sciences (BSc), Education (Social Responsibility and Environmental Sustainable Cohort, BEd), Home Economics Education (Dip.) and Culinary Arts (Cert.). Patrick currently lives in Sooke, BC, where he continues to enjoy working with students, food, and gardens. 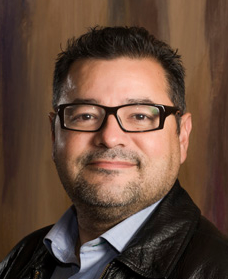 Darren Googoo has been the Director of Education for Membertou Mi’kmaq First Nation for the past 19 years. He holds a Masters in Education in supporting diverse learning and believes strongly in lifelong learning and continuous professional development. Darren is also Chair of the Council on Mikmaq Education, a Board Member of the Cape Breton Victoria Regional School Board, Treasurer to the Board of Literacy Nova Scotia, a Member of the Purdy Crawford National Committee, Vice Chair of the Canadian Education Association and a Member of the Astra Zeneca National Youth Advisory Board. 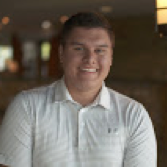 He has a strong passion for the creation and implementation of ideas that move Mi’kmaq education forward. Nurture learning environments that engage the hearts, hands and minds of Indigenous learners, integrate Indigenous Worldview perspective (Aboriginal ways of knowing and learning), and enable them to develop 21st century skills while engaging their communities as a significant learning resource. Demonstrate how Indigenous students can be vocal, active partners alongside educators in designing classroom and school innovations that shape learning environments that invite engagement, increased achievement and retention. Provide a framework for building the capacity of First Nations and provincial schools with significant Indigenous student populations to create conditions for increased engagement, retention and success. Spread knowledge of how educators are increasing student engagement and achievement while working in extremely challenging socio-demographic environments. The CEA recognizes the value in affirming, legitimizing and sharing the benefit of educators’ experiences with other educators, rather than working in isolation. Detailed case studies will answer your questions and provide important insights into how your team can embed Indigenous knowledge, perspectives and Worldview learning into your classrooms. Attendees will receive hands-on support from the leadership teams of these successful initiatives in smaller workshops, and during round table discussions so that they can network informally and develop their own innovative program ideas to achieve their goals. It’s the moral imperative of educators to meet the learning needs of Indigenous children. Inspired by curriculum content that embeds Aboriginal knowledge and worldviews from some of Canada’s most successful Indigenous learning programs, symposium participants will return to their schools and classrooms equipped with new ideas, motivation and a support network to help them implement change. Please note that shuttle service will be provided from the Sheraton Airport Vancouver Hotel and the Hilton Vancouver Airport to the Musqueam Centre during the symposium. Hilton Vancouver Airport will provide preferred Single/Double room pricing ranging from $179.00 per night, excluding taxes. To make your reservation, please call toll free 1-800-445-8667 and ask for group “Canadian Education Association” and/or use group code CEA1. To ensure availability, please book your room by September 13th, 2016. SOLD OUT Sheraton Vancouver Airport Hotel will provide preferred room pricing ranging from $179.00 per night, excluding taxes. To make your reservation, please visit the dedicated booking page for this event here. You can also call toll free 1-800-663-0299 or email: reservations@sheratonvancouverairport.com and ask for “in-house reservations” and the “CEA Meetings” group (CODE: CJ02AC). To ensure availability, please book your room by September 13th, 2016. Air Canada is CEA’s carrier of choice for this event. Symposium participants flying to Vancouver can receive a 10% discount on the lowest available Tango fares and a 15% discount on Flex fares. Please use promo code VUEB4GU1 when booking flights. This offer is valid for up to seven (7) days pre/post symposium.